Now I am one busy momma, probably just like you, who likes traditions, especially for the holidays, and sugar cookies are my kid’s favorite. They get really excited when they see cookie cutters on the kitchen counter. And I must admit, I enjoy making and eating sugar cookies, too! Have you ever noticed the clock while making a batch? They will take up your whole Saturday if you’re not prepared with a few tricks up your sleeve. Thankfully, these great tried and true tips will help keep baking and frosting time running smoothly and quickly. 1. Start with this recipe for the best tasting sugar cookies ever! They are easily made with one package of sugar cookie mix, an extra cup of flour, half a block of cream cheese, eggs and almond or vanilla extract. The cream cheese and almond extract are key to their amazing flavor. 2. Gather items you need days in advance and place them on a baking sheet ready-to-go once the mood strikes or you find time to bake. 3. To save more prep time, mix the dough the day before, then cover with a damp paper towel and plastic wrap and refrigerate. Work with a small hunk of dough at a time and refrigerate the rest. 4. Pick a simple cookie cutter. 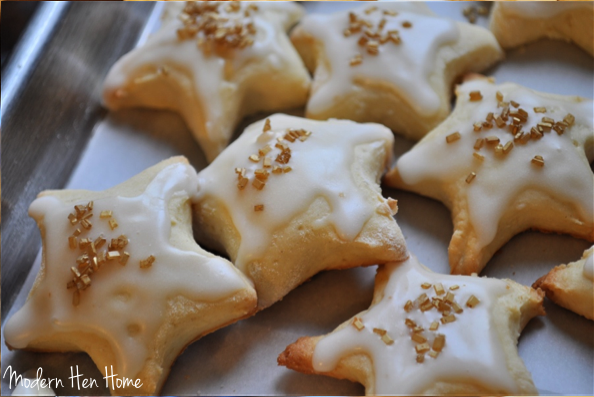 I’ve used all shapes and sizes but have found small stars to be the easiest for pressing, baking and frosting. 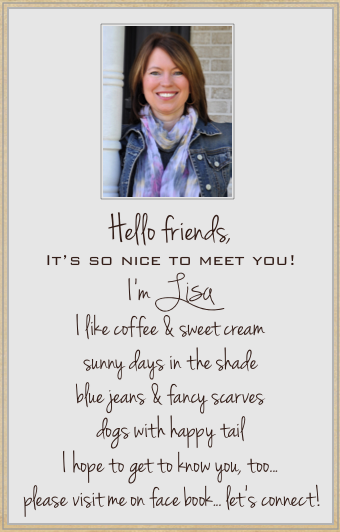 Plus, I can make so many more, which is perfect for gift giving or sharing at gatherings. Elaborate, fancy cutters with narrow grooves are not always easy to work with. So, if you need to save time, stick with simple shapes. 5. Begin by rolling out a small batch of dough over lightly dusted powdered sugar or flour, then press as many cookies as possible before removing the extra dough away from the edges. Keep each cut as close to the next one as possible. 6. Speaking of sugar…. my friend Nita shared with me in passing at church the other Sunday to try powdered sugar instead of flour to roll out dough before cutting. Her tip is so much better than blowing the flour dust off. 7. 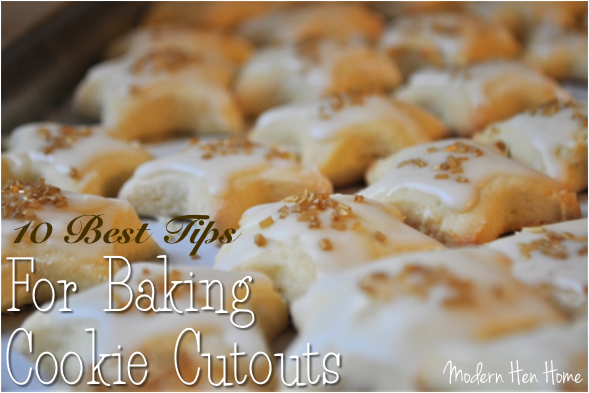 To keep your cutter from sticking to the dough, dip in powdered sugar (or flour) first before pressing. By the way, the thicker the rolled-out dough the more tender the cookie will be. …until you turn to see a big messy kitchen. Avoid that by keeping things tidy along the way. 8. Line a large cookie sheet with parchment paper. This makes for a nice surface to bake and frost on, along with easy cleanup because you can simply throw the papers away. Once the cookies are cool, use the same surface to ice and decorate on. Baking sheets with an edge will keep cookie crumbs and decorating sugar in the pan and off the floor. Use a thin metal spatula to move cookies off the sheet. Wipe up spills and crumbs as you work and put things back as you finish with them. 9. To get all those cookies frosted quickly, stick with white icing and sprinkles. My favorite way to decorate and save time is simple powdered sugar icing and a sprinkle of gold shimmer sugar. So elegant, festive and fast. Here are the items I usually have on hand before starting to bake. sugar cookie recipe ingredients here. Have fun making your cutouts. They’re not just for Christmas anymore either. Bake them for Valentine’s, Easter and Thanksgiving. Also, fun for baby showers, too. You’ll be the bell of the ball when you show up to any event with a plate of delicious, pretty cookies. And don’t worry about making them Pinterest perfect either… embrace their cute imperfections and enjoy every bite with someone you love.